Home / Ricetta / Caesar salad with grilled chicken and Sinfonia extra virgin olive oil dressing. 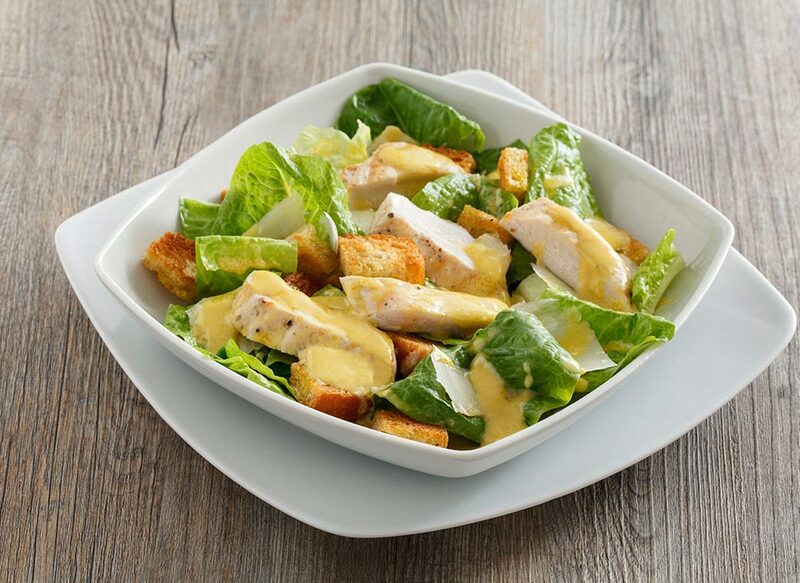 Caesar salad with grilled chicken and Sinfonia extra virgin olive oil dressing. Clean and wash the lettuce. Dry it thoroughly and tear the leaves into large pieces, trying to use mainly the inside ones, which are tenderer. Dice the bread. Heat 4 spoonfuls of oil in a non-stick frying-pan. Then add the pan and toast over a low heat for a few seconds, turning often, until the croutons are an even golden brown colour. To make the dressing, place the egg yolk, the mustard and the lemon juice in a bowl. 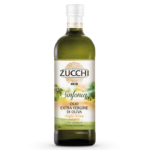 Blend with a hand whisk or stab mixer, dribbling in about half a glass of oil, until the consistency is creamy. Peel the garlic and remove the core then crush it with a garlic crusher. Add the garlic to the mayonnaise and season with the Worcester sauce, a pinch of salt and a dash of pepper and stir thoroughly. Place the lettuce, the croutons, the Parmesan cheese and almost all the dressing a large salad bowl. Mix thoroughly and leave to stand for the flavours to be absorbed while you cook the chicken. Slice the chicken fairly thickly and season it on both sides with salt, pepper and oil. Cook on a hot griddle for about 3-4 minutes per side, so that it is gold brown on the outside but still tender on the inside. Take off the heat and coat the chicken with the dressing set aside. Cut the meat into strips, arrange on the lettuce and serve at once.